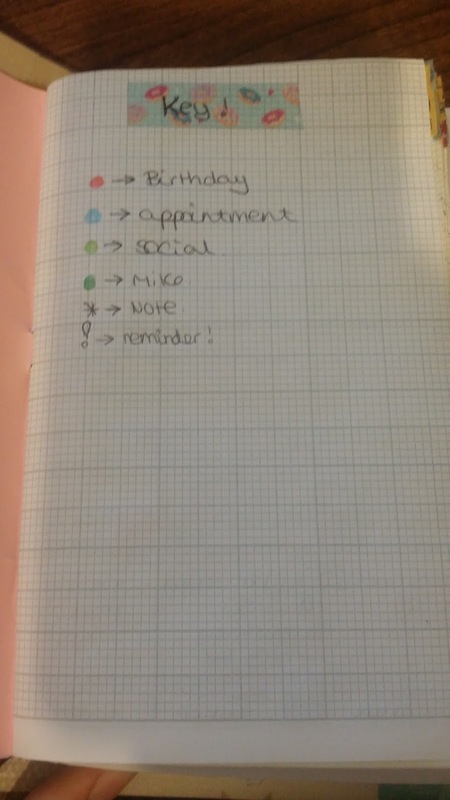 I am a sucker for a bit of organisation! I love to know when all my appointments are, what I need, where I need to go etc etc... 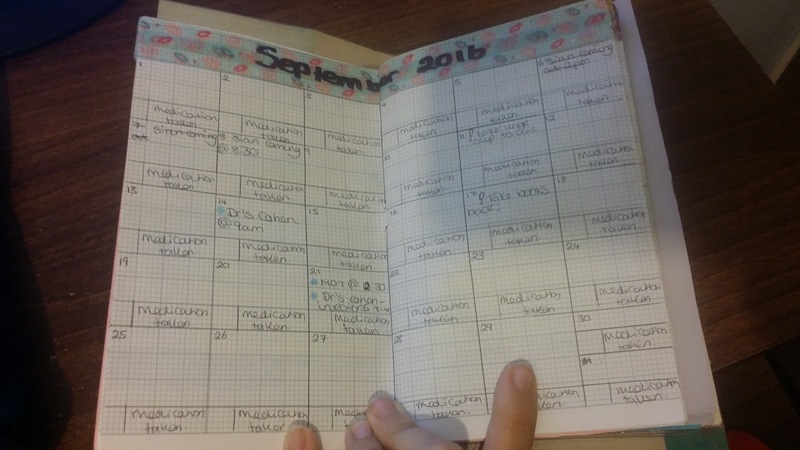 In April of this year I was online looking for a system that would help me stay as organised as possible once I became a mum. 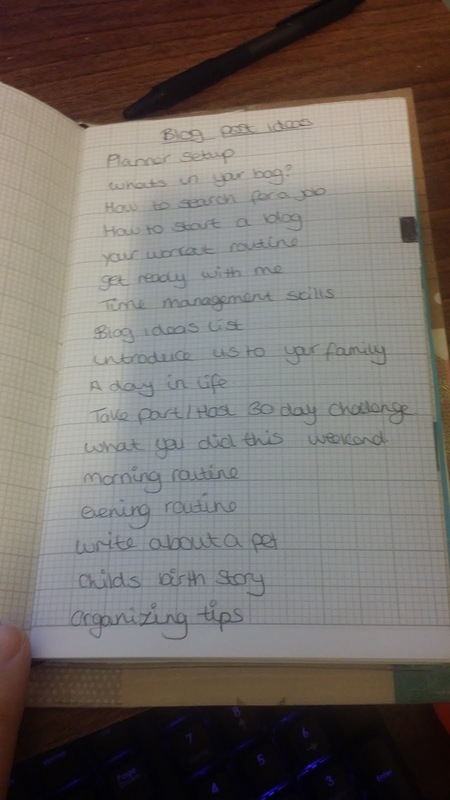 I knew that being a new mum is overwhelming enough let alone having to remember everything else on top of that. 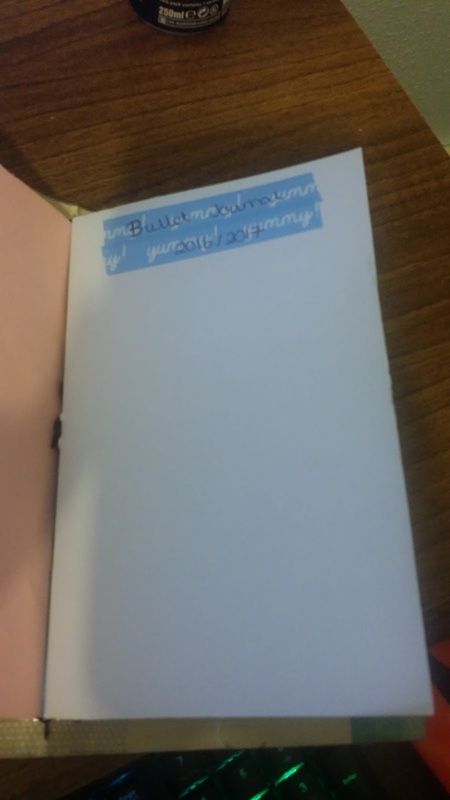 I had tried a normal notebook but it didn't work for me so I decided to look around fr something a bit easier for me to use. That's when I found Travelers notebooks! A travelers notebooks I a collection of small notebooks (inserts) held together inside a skin by multiple pieces of elastic. Looking around online a real leather travelers notebook skin with 2 inserts was coming out at £40 or more. I didn't have the money to pay out for that, so I kept looking around online and I came across a video on YouTube! 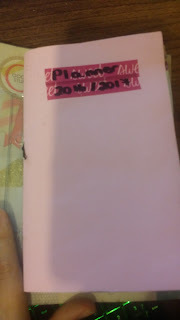 It explained how you can make your own travelers notebook out of craft paper. Also known as a paperdori. It was relatively simple and once I had the craft paper, elastic and the sticky back plastic it was pretty easy to make. I have inserted the link below of the video so you can take a look. Mines pretty size and is held closed by a loop of elastic the is secured from the inside. As you can see the inserts in mine hang out the edge slightly but this was fixed by adding some more elastic on the inside. With it being regular sized I can put in my handbag which means it come with me everywhere I go. 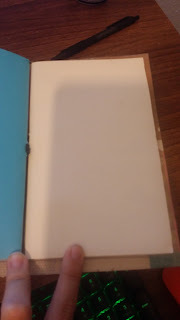 Also with it being covered in the sticky back plastic it can be wiped clean, which is useful with all the grubby hands I will have in a few months time. Again I made the inserts myself as it is cheaper but these can easily be brought on Ebay and Amazon. 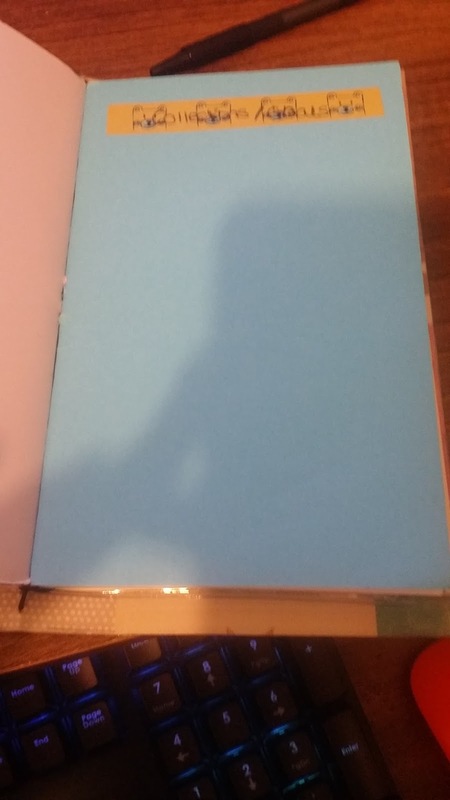 The process of making the inserts are pretty easy and can be bound very easily too. Below is a link to a video on Youtube I used to help me. In my Paperdori I have got 4 books and 2 zip lock pouches. The zip lock pouches I got when I brought some stationary from my local Tesco. I simple stuck them together with some tape and slipped them behind my inserts. This way i have a zip lock pocket at the front and the back. In my pocket at the front i have some small lined post it notes. I love a good post it note and this just ensures I have some when I'm on the go. My first insert is my planner! Of course everyone needs to have their dates on hand at least i do. I like to make arrangements and write them straight in. 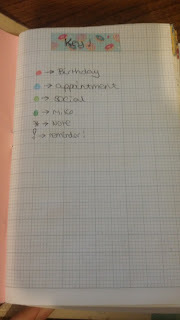 I have a key at the front of my planner to remind me what colours i use for appointments, social etc. 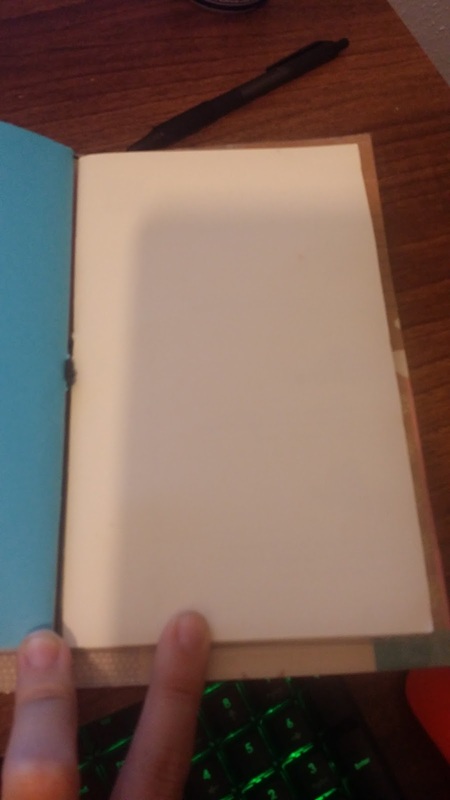 This is always kept in the inside page from my cover to make it easy to find. 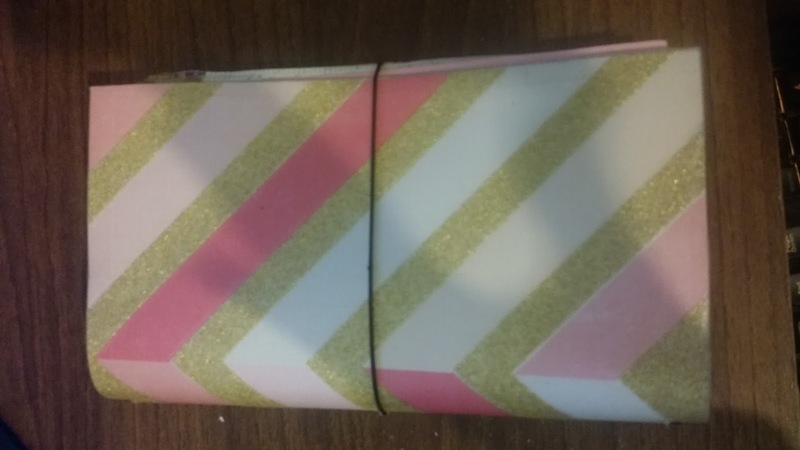 I use Washi tape (Which you can buy in your local craft stores or online) to decorate the tops of my pages. In my planner inserts i do a monthly overview and then a weekly overview with my time slots to help me manage my time effectively. 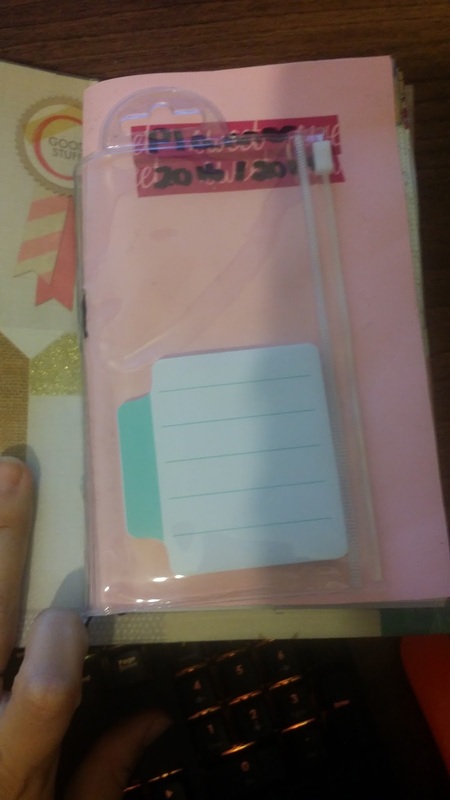 My next insert is my bullet journal! In this insert I use another key to layout my to do lists. 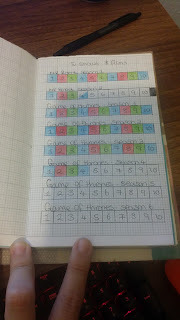 I do this by filling in squares with the correct symbol. All of these symbols are listed in the key at the beginning of the insert. 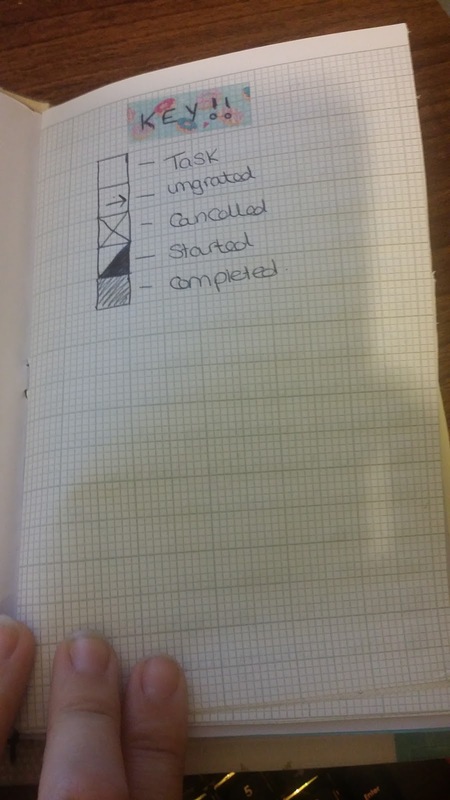 The Bullet journal helps me to make a visual list of everything i need to do over a time space and for me to physically see the achievement making it motivating! The third insert in my notebook are my collections. This is literally what it says on the tin. It has all the things i feel are important in one place. 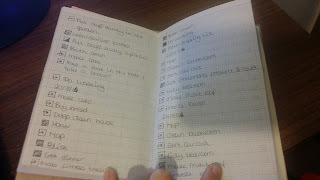 For example I have recipes, lists of TV shows and films to watch and a list of Christmas gifts. In my fourth and final insert I have my weight loss tracker. 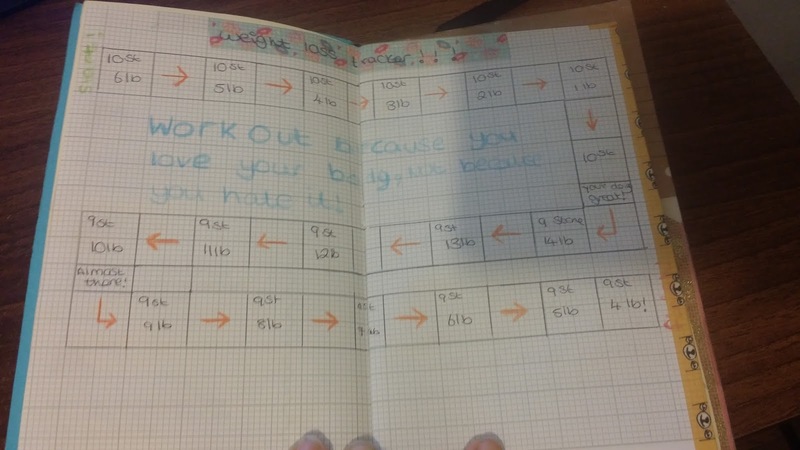 This has a list of some exercises I can do and some motivational quotes to keep me on track. I have just introduced this booklet hence the fact its not really been filled out! Then finally i have my second zip lock pocket which holds some stickers, and any appointment cards I may have. I love bullet journaling and I love my Paperdori! I hope this may have inspired you to have a look at bullet journals. There are plenty of communities you can access to help and support you. There are many groups on Facebook and HUNDREDS of videos on YouTube! I watched the DYI video to make a skin.I think I can make it. I need to find that Sticky plastic. I have no idea what it would be called, here, in the USA, but I am sure I can find it. Anyway, thank-you for posting this!